Do you want to be your own boss? Do you want to make your own schedule and work as much (or as little) as you want? The good news is that you can. 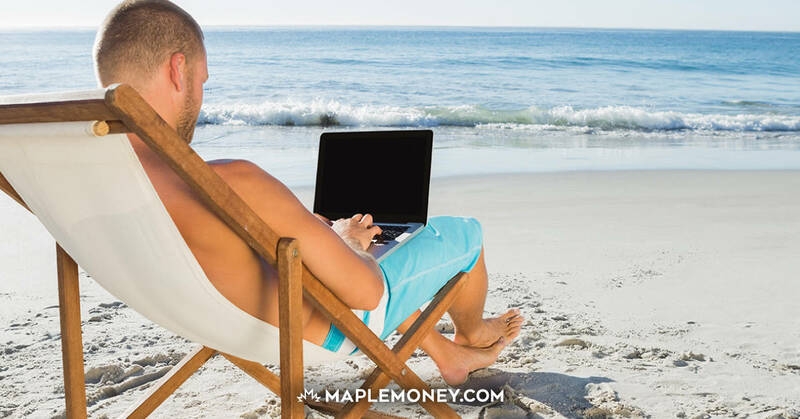 It really is possible to make a decent income from home. It’s much easier to make extra money, rather than a full time income, but both are indeed possible. I don’t just mean sell all the stuff in your house that you don’t want anymore, because eventually you will run out of stuff to sell. What I do mean is to shop at garage sales and thrift stores (Kijiji and Craigslist are great, as well) for under-priced items and then resell them. For example, a few weeks ago I bought a collectible Disney DVD for $3 at a garage sale and then sold it on Ebay for $14.99. Before that, I bought a Little Tikes slide for $5 off of Kijiji and then sold it for $20. If you do this enough, it’s easy to make some serious cash. If you can manage watching a few kids every day, you can earn around $50 per child, per day (possibly more, depending on age and length of stay). If you want to open an actual daycare, you will have to get some certifications from the government, so keep that mind. Simply caring only for children of friends or family members would eliminate that hassle though. Ask around and see if anyone is looking for child care. If designing websites is a skill you have, use it to your advantage. Web designers are always needed. From what I’ve been told, the hardest part about being a web designer is finding the work. The best web designer gets most of their work from word of mouth. Treat your customers right and they will help you make money by referring you to their friends. When you start out, ask some friends or family for work. When you’re finished with their design(s), ask them if they could refer you to others. You can also sign up to sites such as Elance to find work. Are you crafty? Can you knit a gorgeous scarf? Do you make ceramic dishes? Cute jewelry? Etsy is a fantastic website that lets entrepreneurs sell their homemade items on their website. It’s a great way to make money from home. Starting a blog does not mean easy money at all. It takes years to build a blog large enough that it starts to generate an income you can live off of. It takes a lot of patience and a lot of time. If you want to make good money at it, blogging must be your full time job. Darren from ProBlogger is a fantastic resource for making money blogging. Working from home is great. Making your own hours, taking time off when you want to (without asking for permission) and doing something you love – it’s all wonderful – but it’s still work. I can’t stress enough that while working from home is great, it is still a job. You still have to wake up every day and do actual work. You just get to do it in your pajamas. Do you have any tips for making money at home? Some great tips! I wish I could go to work in pyjamas lol! I’m fortunate to be skilled as a web designer. However, it is not consistent enough to do full-time from home. I would love to be able to do that, but there are too many periods of highs and lows, that it is difficult to make a decent living. I have a full-time job for a company, but also do freelance web design. So it is great to be able to make extra money on the side. You are absolutely right when you say that web designer’s get most of their work from word of mouth. I don’t advertise at all, all of my freelance web design business is entirely from recommendations. that’s the way to do it, ashley! recommendations are everything! I’m in the process of starting my own blog. I’ve just finished setting it up and wrote a few articles before I officially publish it. I’m just wondering (since it seems that you have a pretty successful blog) if you have any tips on making some money from blogging. I know it’s not a quick money deal, but writing is something I really enjoy, so it’s not the reason I’ve started this blog but more of an after thought. And also, maybe you could tell me how you started getting your site noticed. Laura: Thank you! I’m glad you like it. I enjoy your blog, you’re hilarious! Where can you find mystery shopper jobs? is there a reputable site to go to or company? Watkins is only $39.95 to sign up and you get 25% discount right away, there is no minimum requirement each month. Arbonne is great too, if you know people who are willing to spend more money, unfortunately it is $150 requirement each month for you to make any money. Anyway, it is a great way to make some extra cash! There are companies like Pizza Pizza that will contract you out to work from home. You basically make a % of the orders you take, and are in essence working for yourself. When you do your taxes you are able to write off a certain portion of your home mortgage (or rent) and utilities depending on how much you are able to make as you will be classed as a small business from home. You have to be very dedicated to do this and if you work the late night shifts and are able to put up with the drunk callers ordering their food generally its decent money for sitting at home on the computer. Become a Tupperware Consultant!!! You make 25% commission on sales, not to mention all the rewards you can earn… free Tupperware, cash, trips, cars, jewelry… the sky is the limit!!! The average Tupperware party can earn you $125 for 2-3 hours work. One party a week and that’s an $500 a month!!! You can do it full-time, part-time, you choose when you want to work, you are your own boss. And the support you get is phenomenal!!! LOTS of training is available. And the biggest reward of all to me is CONFIDENCE!! I’ve been a consultant almost 2 years now. I have a full time job and sell Tupperware part-time. I have had so much fun with this that to me it has turned into more about the new friends I have made, the wonderful people I have met and how it has helped me build my confidence in knowing that I really CAN do it!!! I am so happy I decided to take on this amazing opportunity. There are also so many other ways you can make money at this as well if you don’t want to do parties, all from the comfort of your own home. Feel free to contact me for information on how you can get started with this amazing opportunity! Thanks for the tips! Another way to round off the months is to become an independent consultant. I’m an Epicure Selections independent consultant since last year and i just love it. I can adapt it to my lifestyle and set my own hours. I love all the added incentives. Plus, I get paid commission on cookware, food items and spices I would buy anyway. My pantry and wallet thanks Epicure every month! I also like the fact that’s it’s healthy products with low sodium and most of it is now without gluten. It’s only 125$ to start until January 31st and that includes everything you need to start your business (approx 500$ value) I don’t regret it one bit! 🙂 If you’ve been thinking of starting a little sideline business, don’t be shy to contact me for more info! not true at all!!! You get what you put into it. It only takes one party to start the ball rolling. You would be amazed the number of people who say “Tupperware is still around??!! !” That’s because there are not enough consultants out there selling. Tupperware is alive and kicking and this year marks 65 years of the Tupperware party and they are still going strong!! There are tons of customers out there still!! Two years ago I had the same attitude at you and boy was I amazed when I saw with my own eyes the money that can be made! It’s not just a part-time job for me, it’s more like a hobby that makes me extra money and I have so much fun doing it. You should give it a try “me”, you have nothing to lose but SOOOO much to gain!! I work from home with a company I just love! All natural health and wellness products. Safer and more effective products for your family and the environment. No selling, inventory or money collecting. Just refer others to the company. I have worked from home for a while and I love it. You must be organized and vigilant about your work and make sure you get it done everyday. The rewards are amazing and the ability to create your own schedule is excellent. Thanks to the internet it has become even easier to do!!! I have been looking for a work at home opportunity for sometime now but have not had much luck…can anyone recommend some good websites? Paid surveys don’t count. Thanks for any info! Have you ever thought of selling Avon. Great opportunity right now, sign up for FREE. No Inventory, No Sales Quotos, receive discounts on products you would be buying at stores anyway and get them delivered right to your door! We are heading into our big sales period, join now and get started before the busy holiday season, and make some extra money! You dont actually make alot of money selling avon. the problem with the majority of those companies is you have to promote or sell. you also have to buy so much every month…. I’ve had success with Strong Futures International (http://www.sfi4.com/13181799/first). It is a comission/sales job, but everything’s online so you don’t need to stock anything. If you have your own products that you create, or just want to get rid of, you can also sell them with the program. It’s also completely free to join and with the free membership comes a very comprehensive training program.